Website Trouble? Send us an email. Welcome to the PIGEON EXTRAVAGANZA Website! The Pigeon Extravaganza is a Pigeon Swap & Sell event that is held in Waxhaw, NC. The event attracts pigeon fanciers from all parts of the US and a few international guests. This event provides a great opportunity to mingle with other pigeon fanciers and meet famous pigeon keepers. Participants are encouraged to bring with them birds they have to sell or trade. There are thousands of birds to choose from at the Pigeon Extravaganza including very rare breeds. If you like pigeons, you're sure to find what you're looking for at this event. If you would like more information about the Pigeon Extravaganza click the Contact link to the left to contact the host. The Pigeon Forum is Online! Sign in and start up a discussion about your favorite pigeon topic. 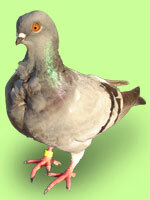 You can also list the types of pigeons you have for sale or ones you are looking to buy.